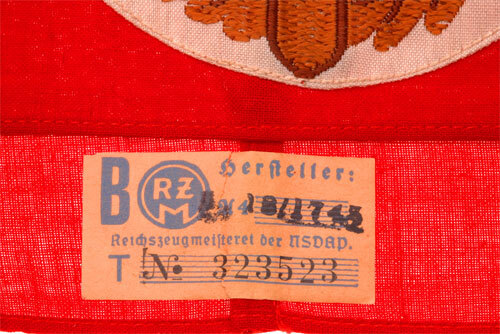 Red cloth body, 11 x 44 cm, white rayon disk, two tone golden brown rayon bevo insignia, RZM tag 323523 inside, strong full color, unissued, mint condition. These armbands have been incorrectly identified as "SA Sports Armbands" for over 50 years. They were in fact designed for the Wehrmannschaft but evidently rarely if ever used. They are usually found unissued. 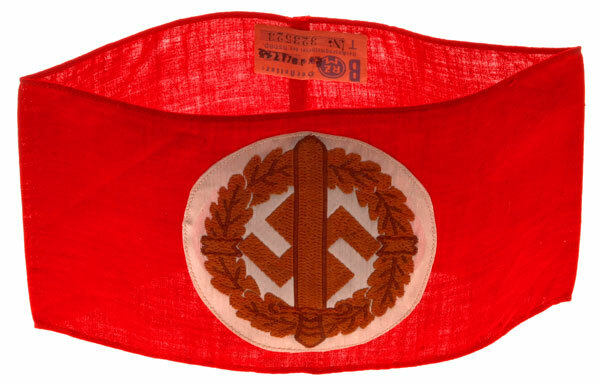 In 1939 Adolf Hitler created the Storm Troopers Military Training Defense Group (SA-Wehrmannschaft) to add to the men who were being trained for service in the German Armed Forces (Wehrmacht). 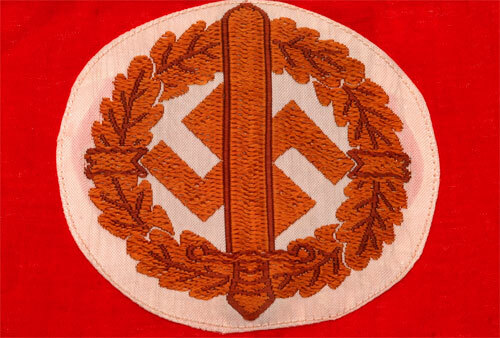 The mission of the SA Wehrmannschaft was to provide military training to SA members so they could serve in the Wehrmacht. The initial training consisted of standard military exercises done for a period of one to three weeks. Upon completion of this program members were expected to serve at least two evenings per week and six hours on Sunday. The SA Wehrmannschaft also trained those men who were rejected from regular military service as a result of being unfit for duty.